Small but comfortable apartment in a good location. We had a three year old with us, apartment a bit high for comfort, kept balcony and other windows closed throughout. Water and fruit supplied. location was good, spacious and collection of keys was easy! Апартамента беше просторен и чист , мебелите нови, намира се на много удобно място в центъра. Барселона, доброжелательные люди, вкуснейшие морепродукты, фрукты и овощи! Gestore molto gentile e disponibile, ci ho fornito ottimi consigli sulle principali attrazioni della città. Appartamento molto carino e pulito. Materassi super comodi ! L'appartement était propre, la cuisine bien équipée. Des radiateurs mobiles étaient à disposition ce qui était très agréable. Grandes armoires dans les chambres. Nous avons été très bien accueilli et il y a de nombreux prospectus dans l'appartement sur Barcelone. - Personnel très réactif, amical, et à l’écoute. - Emplacement proche du port, restaurants, et Montjuic. (15’ à pied du centre ville - 5’ du port) - Appartement calme et confortable avec trois chambres, un salon, et une cuisine. - WiFi fibre optique ultra rapide! One of our best sellers in Barcelona! 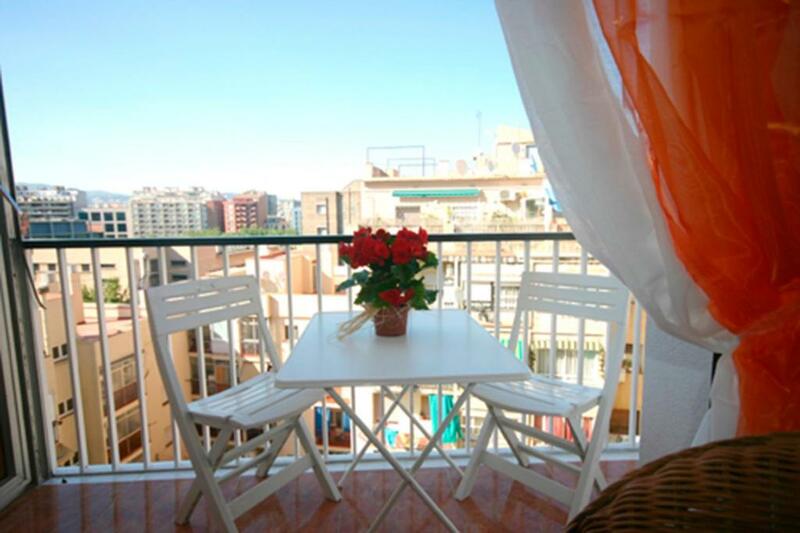 Located 350 feet from Montjuïc Park and 1,000 feet from Paralel, Génesis Ramblas apartment, offers free WiFi, air conditioning and heating in Barcelona. Featuring wooden floors and exposed brick walls, this charming apartment comes with 3 bedrooms and 1 bathroom. The living area has modern décor, 1 sofa, a TV and a dining table. The kitchen is equipped with a microwave, coffee machine and washing machine. Plaza Real Square is 10 minutes’ walk away and Parallel Metro Station is 1,950 feet from Génesis Ramblas. 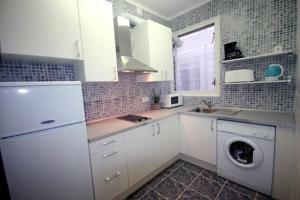 뀐 Located in the top-rated area in Barcelona, this property has an excellent location score of 8.0! When would you like to stay at Génesis Ramblas? House Rules Génesis Ramblas takes special requests – add in the next step! Génesis Ramblas accepts these cards and reserves the right to temporarily hold an amount prior to arrival. Please inform Génesis Ramblas of your expected arrival time in advance. You can use the Special Requests box when booking, or contact the property directly using the contact details in your confirmation. I expected such nice bedrooms as they are in pictures - but the reality is very poor..... just white sheets... no decor pillows or blankets... air conditioning is only in living room!!!!! bedrooms are only with ventilators:( wc bathroom floors are with dirt marks and very bad smell. The apartment is after renovation! the area want great it had a lot of homeless people which I know cant be helped, they were no bother but it did make us feel uncomfortable at times. Also there was a funny smell in the apartment sometimes that could be down to the drains.